Fresh from winning the Best Lighting Accessory category in last year’s Gear of the Year awards with its i60a flashgun, Nissin has announced a new wireless strobe commander that sounds like an off-camera flash fanatic’s dream come true. Compatible with Canon, Nikon, Fujifilm, Sony and Micro Four Thirds systems, the Air10s features an extended range of up to 100m and a number of innovative upgrades that add to its versatility. Micro SD slot, TTL Memory Function, Open Mode… we want one! A sterling price-tag is still to be announced, though the US RRP is $170. Expect an April 2017 launch. Nissin proudly announces the Air10s, an advance NAS (Nissin Air System) 2.4Ghz Wireless TTL commander for Fujifilm, Sony, Micro Four Thirds, Canon and Nikon cameras, available in April 2017. The Air10s is an advanced strobe commander in the NAS. The simple and clear dial layout with Color LCD display allows the user to seamlessly and quickly control a large group of strobes from a dark indoor studio, to a bright outdoor environment. It can control the NAS Ready strobes (i60A and Di700A) and the receiver Air R wirelessly. The device’s range of use has been greatly extended (when compared to older models) to a maximum distance of 100 meters, and the TTL Mode, high speed sync (FP sync) supporting up to 1/8000sec shutter speed, rear curtain, and other functionalities can be controlled remotely. 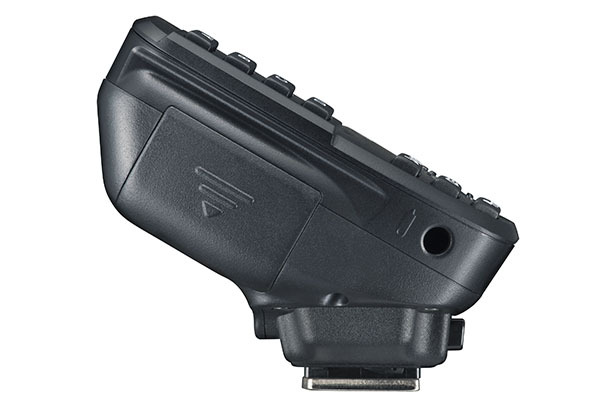 The device has a “TTL Memory Function”, which memorises the exposure during a TTL Mode shoot, and allows for a one-touch switch to manual mode. You can save time during the strobes setup as the device takes the TTL exposure data, calculates the individual output internally, and transforms the exposure data into manual mode for advance adjustment. The Open Mode allows for multiple Air10s units to pair with the same group of strobes. This means the need to re-pair devices is eliminated, and even if cameras are changed, the same settings can be used as the shoot continues. This convenient functionality allows multiple cameras and commanders to share a same group of NAS strobes. Even if your Air10s is for Sony Mount, it is possible to pair it with Canon, Nikon and other differing version of NAS strobes (i60A, Di700A), and you can retain use of all the functions, including TTL Mode (applies to the other type of Air10s versions as well). Read a full review of the Nissin i60a flashgun.